At this school, everyone has secrets, everyone looks guilty, everyone is a suspect. 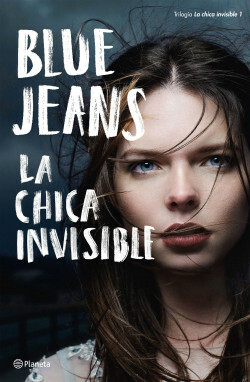 Aurora Ríos is invisible for almost everyone. Events in the past made her isolate herself from the world, and she barely interacts with anyone. At seventeen years old, she has no friends, and is tired of the people in the town talking about her behind her back. One night in May, her mother doesn’t find her at home when she returns from work. That’s unusual. Aurora shows up dead the next day in the locker room at her school, Instituto Rubén Darío. She’s been struck on the head, and a compass is found next to her body. Who is responsible for that dreadful crime? Julia Plaza, the invisible girl’s classmate, is obsessed with finding an answer. Her extraordinary intelligence and her prodigious memory make her unbeatable at chess, capable of solving a Rubik’s Cube in fifty seconds. But will they help her parents find the key to the enigma? Her mother, Aitana, is the forensic technician for the case, and her father, Miguel Ángel, is Sergeant of the Judicial Police squad from the Civil Guard in charge of the investigation. Julia and her fast friend Emilio, a strange kid with an eerie gaze, will do everything possible to prevent Aurora Ríos’s killer from going unpunished. Will they find out who the killer with the compass is, and what lies behind that bizarre death? DeA Planeta Libri (Italy), Beijing White Horse Time (China).